What on earth is going on here? No cereal for breakfast? The sky is falling! Seriously, if you want to have more energy and experience more wellness in your life, start eating actual foods for breakfast. When I’m working with a client to help them establish healthier patterns, I often use the “Pick 1” approach. Pick 1 meal that you can transform. Pick 1 food that you want to add or remove from that meal. This is a great way to start taking baby steps toward your healthier lifestyle. Anxiety will tell you, “I can’t” and it will feel like too much all at once if you think about changing everything. Instead of having the all-or-nothing, polarized, anxiety thoughts, just limit yourself to one thing that you can transform. Start incorporating healthier, clean foods into your diet by making small, sustainable changes to each meal. Maybe it’s an apple, or some salad, or a hard boiled egg. Perhaps there are other foods that you would like to add. Just pick one food and add it to your meal. Remove one food that is processed, or has refined sugar. Breakfast is a great meal to transform because it sets the tone for your day. You’ll carry the positive energy of that healthy choice with you throughout the day. Eating vegetables for breakfast really isn’t weird when you realize the energy you gain. You won’t get dragged down from a sugar crash, and you won’t be filling up on too many carbs. All the small changes that you make can really add up to a lot of health and energy. 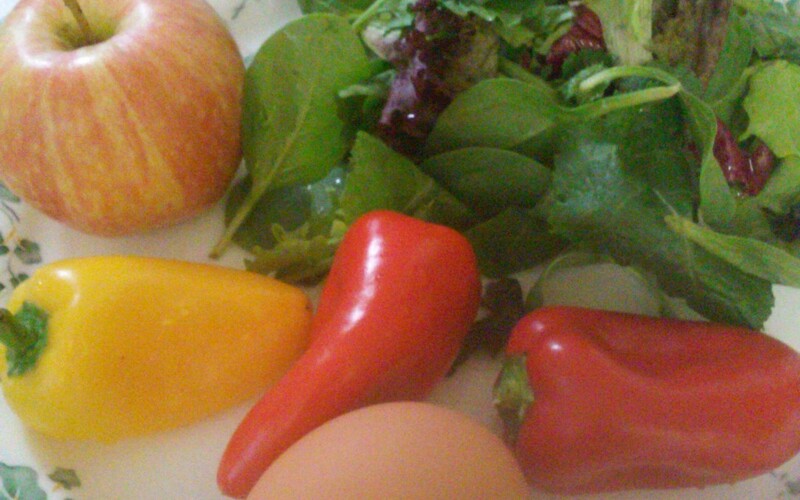 Amaze your friends and family….eat veggies for breakfast!!! !